The Chairman of State Minorities Commission serving Andhra Pradesh and Telangana sees the Law Commission's questionnaire asking the public for responses on the Uniform Civil Code and 'triple talaq' as an "attempt by the government to brand Muslims as anti-nationals". "The government is trying to create a sort of atmosphere where the Muslim community gets agitated and does something which is not desirable and, in turn, they are branded as anti-nationals...those who do not follow the Constitution of India and all that," Abid Rasool Khan said. "The community is falling into the trap of the right-wing elements and agencies who are working in tandem," he alleged. Khan described the exercise of asking for opinions without the government putting a draft of the Uniform Civil Code in the public domain as "very absurd and not heard of". "You are not telling other religions how are you going to alter their rights, you are not touching the other communities. Ministers on TV do not talk about the HUF (Hindu Undivided Family) taxation benefits. All these things make me weary that there is a hidden agenda behind the questionnaire," he said. Stating that every 200 sq.km, one can see a different culture in India, Khan said the questionnaire should have had a minimum of 500-600 questions. "In 16 questions, you are trying to do it. So, what the government is basically doing is framing a policy to show the Muslims as anti-national and unpatriotic...who do not follow the Constitution and democratic principles. I strongly object to this," he said. Khan requested the Law Commission to withdraw the questionnaire, adding that the government should first put a draft of the Uniform Civil Code "they are talking and threatening about" in the public domain and give "ample time" to all the communities. He noted that the questionnaire did not "talk about the Sikh community, the Kodagu community in Uttar Pradesh which allows five husbands to a woman, which is common in most of the villages in the hill areas of the state and Nagaland where the wife can be changed with a small gift given to her". "The way it is being handled, it is just a poll publicity tool before the Uttar Pradesh election and then it will sink in a boat," Khan said and termed the exercise a "political gimmick". He said Muslims would resolve issues such as 'triple talaq' and polygamy "within the community" and they are "on the verge" of doing so. "Why are others so worried about it? Is there no other issue like child marriage? 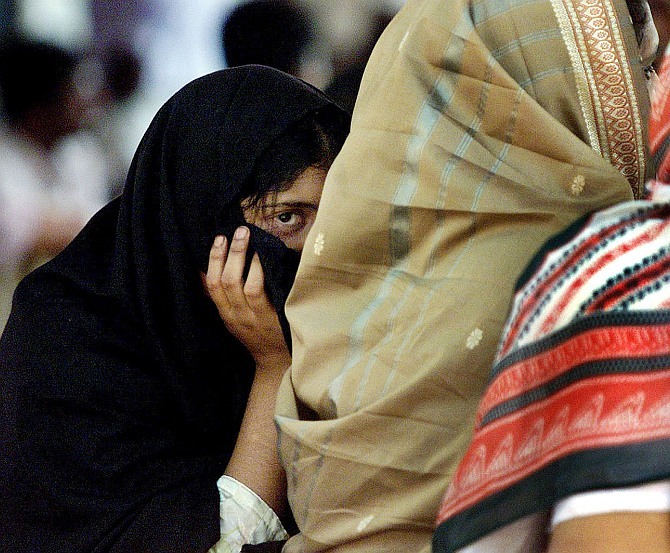 No issue like polygamy exits in the Hindu community?" he asked. Khan claimed that even a BJP woman MP was a "polygamist". "So, why are they not looking into their own closet before looking at Muslims and creating a scene where we (Muslims) are shown as wild, uncivilised and all that," he said. Meanwhile, in Mumbai, Scholars and clergymen from different Muslim sects, under the banner of All India Muslim Majlise-e-Mushawarat also registered their protest against the Law Commission's consultation. Recently, the All India Muslim Personal Law Board, while announcing the decision to boycott the Law Commission's consultation, had criticised the Narendra Modi government for allegedly trying to divert attention from its "failures" by raising the issue of UCC. The meeting in Mumbai was chaired by Maulana Sayed Mohamed Khalid Ashraf, the president of Daruloom Mohamdiya. Prominent among those who attended the meeting were All India Ulema Council president Maulana Zaherudin Khan, Mushawarat president Naveed Hamid and general secretary Mujtaba Farooq, All India Muslim Personal Law Board executive committee member Maulana Sayed Athar Ali, All India Jamiat Islami vice president Maulana Nusrat, internationally-famous Haji Ali Dargah's Imam Maulana Mohd Islam, noted Shia scholar Maulana Asgar Imam Salfi (Ahlehadis) Maulana Asgar Haideri and others. "Any interference in Muslim Personal Law will not be tolerated. Any efforts to impose a Common Civil Code in the name of social reform and gender justice will prove counter-productive," they said in a joint statement. "The government should respect this position of Muslims instead of conspiring to put an end to it. The government cannot force Muslims to follow other communities in issues related to personal laws as it would amount to an infringement of their fundamental rights. "Those clamouring against triple talaq and demanding a ban on polygamy are a minuscule minority and are not representative of the Indian Muslim community," said Maulana Sayed Mohamed Khalid Ashraf. All India Ulema Council president Maulana Zaherudin Khan said the move of banning triple talaq is a conspiracy to impose a Uniform Civil Code. "We will boycott this questionnaire. No Muslim will respond to it because it is misleading and deceitful. The Uniform Civil Code is divisive and will lead to social unrest," he said. All India Ulema Association president Maulana Sayed Athar Ali said the government should not interfere in the belief and religion of any citizen. Muslims consider divorce, polygamy and other personal laws as an intrinsic part of their religion and are hence obliged to follow the Sharia in those matters, he said.